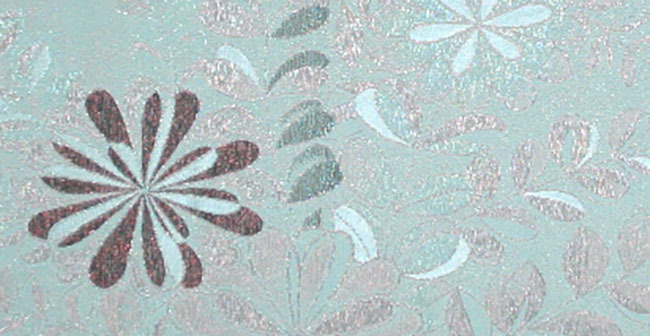 Kimoyes item: 21809 - Pale light aqua blue fine silk crepe with woven floral design in metallic threads. Pale light aqua blue fine silk crepe with woven floral design in metallic threads. Lovely sheen.